This comprehensive kit includes a wide selection of tools and materials for Lino cutting and printing. You can experiment with artisan printing techniques and compare traditional lino and the new SoftCut materials, which add new possibilities for beginners and experienced users alike. 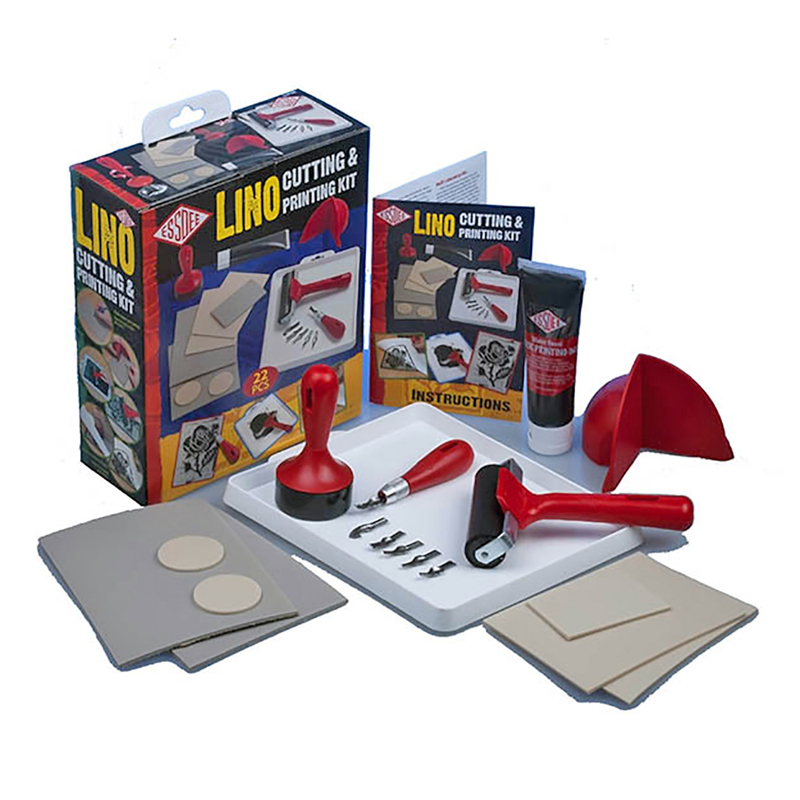 6 different lino cutters are included which allows for varied carving styles, whilst the safety cutter and hand guard ensure safe working for younger or less experienced users. The 3-in-1 Baren is a tool for transfering ink from your lino block to paper, but it can also be used as a desk tidy for your cutters and as a stamping tool when used with the included self-adhesive SoftCut discs. You can make many prints with the water based ink whilst keeping your work space clean with the handy ink tray. 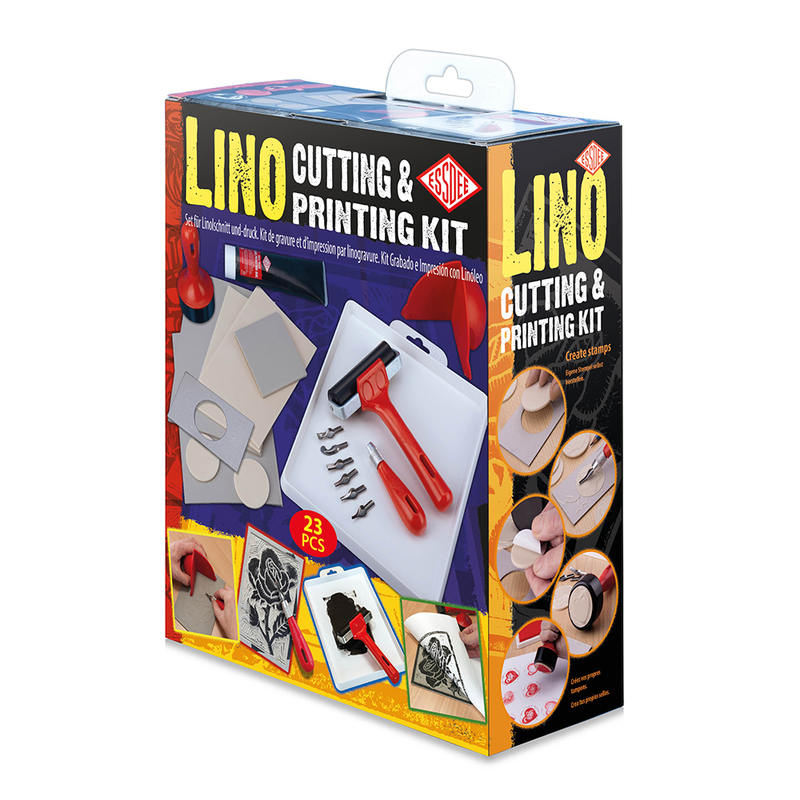 This educational and fun kit is ideal for making unique greetings cards, gifts, posters or even great works of art! Recommended for ages 12 and up. If using with children, adult supervision is recommended.